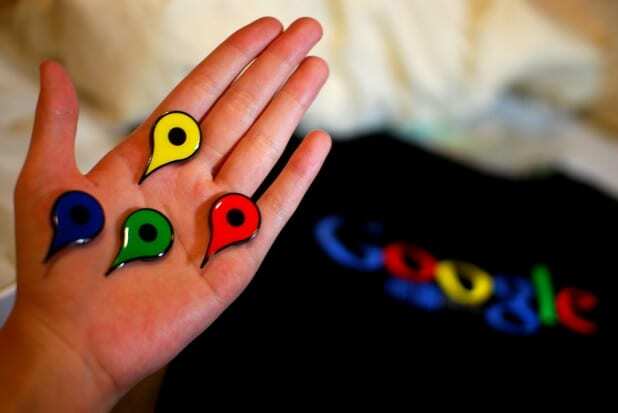 Google at one time offered a total of seven local listings at the top of its search page. These coveted spaces have downsized to just three listings. Sponsored listings are no longer down the right side of the page, these three listings are currently positioned below the fold, meaning that Web users actually have to scroll past the pay-per-click ads in order to see them. It is very important for small, growing businesses to have a solid, local SEO plan in place. Moreover, small business owners should be doing everything in their power to obtain more positive and detailed reviews of their products and/or services in both Google and Yelp. Not only will these efforts improve a company’s position on search result pages, but they’ll additionally ensure that these businesses are being found by the very prospects who are most likely to convert. Much like general or global SEO, the best local SEO is entirely white hat. These are strategies that will go well for your business by helping you avoid painful penalties and other setbacks. More importantly, they’ll help you develop the type of brand image that’s currently necessary for long-term success. Keep in mind that the requirements for first page placement are always designed with value in mind. If you’re constantly striving to provide your online audience with good value, you’ll do well in terms of page placement. You’ll also foster trust and, possibly, more good word-of-mouth advertising. With these things in mind, avoid offering customers incentives to leave Yelp or Google reviews. Instead, commit to always providing excellent customer service, amazing deals, and consistent follow-up. You should also train your employees to gently remind clients about your Web presence. When people thank you for their stellar customer experiences, let them know that they can share their feedback online. Collecting e-mail addresses from your customers and getting people to opt-in to your campaigns will make following up and checking back in all too easy. Certain customer relationship management (CRM) solutions can automate these efforts. This can include grouping consumers with similar interests, as well as crafting specific messages. You can also have a special reminder to review your business on Yelp and Google built right into these e-mails. This is an easy way to give people an extra nudge about providing feedback. A very large part of getting your local business indexed with search engines is completing your Google My Business profile. In addition to having a map, your contact info and a picture of your business establishment, you may want to upload a few links to informational videos or video advertisements. Quality visuals provide a number of excellent link-building opportunities. Strategically inserting keywords into file names and captions will help your local SEO as well. Surprisingly, people have a higher likelihood of posting reviews about companies with complete profiles than they do of reviewing businesses with incomplete or inaccurate Google My Business information. That’s because it’s easier to positively identify with companies. Moreover, adding to an ample amount of existing online content can feel a lot like engaging in an online conversation, which is the level of connectivity and engagement that most Web users are actively seeking. Never miss an opportunity to request an online review immediately after the completion of a transaction. If people do not post a response to your services or products as soon as they are done with their product purchase or service they received, you have a much higher likelihood of losing their focus to other things. It is much easier to funnel these individuals to platforms like Google and Yelp as soon as a good impression has been made than it is to try and regain their attention further down the road. Negative reviews for earnest, hard-working businesses can and do get posted. Waiting until negative feedback arises to defend your business reputation is called reactive reputation management. Making a quick effort to build and protect your business image is called proactive reputation management. This is the most effective type of reputation management out there. Best of all, it often involves tactics and strategies that can significantly advance your local SEO for your website and online reviews. This is especially true when it comes to addressing customer service issues. Whenever your customers express dissatisfaction, think of this as an opportunity to both change opinions and solicit positive feedback. Handling negative reviews in a timely response will show your prospect just how committed you are to both providing value and keeping customers happy. Customer reviews that detail resolutions of perceived problems have a very genuine and trustworthy feel that other consumers are guaranteed to pay attention to. It is important to remember that disgruntled people are the very ones who are most likely to leave feedback about your business. This means that it’s up to you and your customer service team to determine exactly what type of feedback these individuals are going to leave. You want your customers to review your business on Yelp when they are already active Yelp reviewers. Too many reviews from people who have never used this platform before could be considered spam. It is far better to refer people to your Google My Business profile and have Yelp reviews collect organically. People who use this platform regularly are more likely to post on their own, or to find your Yelp listing immediately after they’ve already posted to Google. Getting positive reviews and five-star ratings from your customers can benefit your business in a vast range of ways. This is especially true when it comes to your local SEO campaigns. These good reviews will make it more appealing to Web users searching for your product or service. Positive reviews on both Yelp and Google will also increase the authority and visibility of your business, thereby making it more likely for your website to land among the coveted three-pack business listings. Article by Deborah Medrano of All Day Web Design, a professional website design company that delivers Houston SEO services along with PPC campaigns, and social media marketing. All Day Web Design is an expert when it comes to highly ranked dynamic websites for more leads and conversions for its clients.